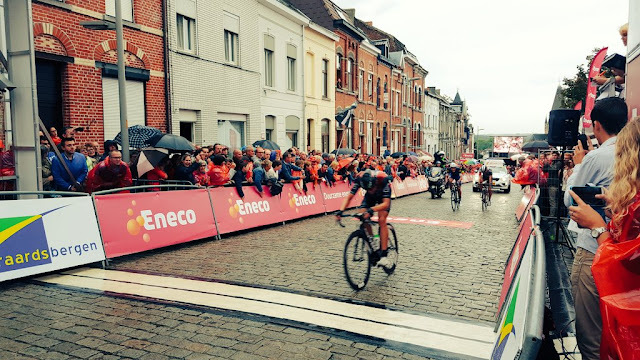 The final stage of The Eneco Tour finished in dramatic classic style. 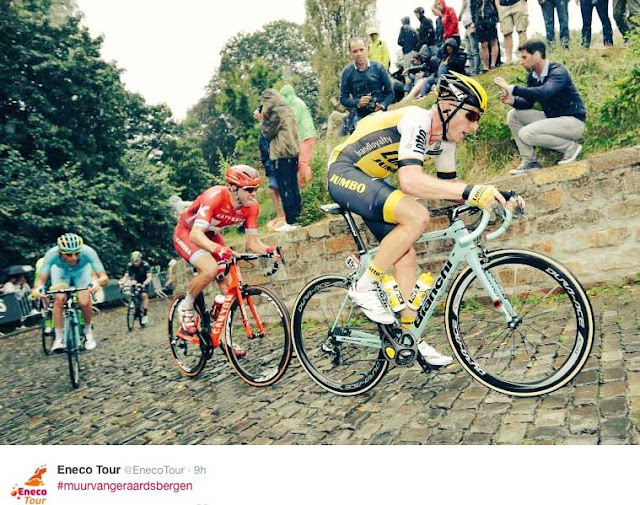 The riders faced plenty of bergs, cobbles and rain that can re-written this stage as a bona fide classic race. At least in my classic loving opinion. The last 25km was a finishing circuit the riders would roll up four times starring the Bosberg, Denderoordberg and the Muur. Leader Rohan Dennis crashed out with 50km remaining. On the final climb Niki Terpstra, Oliver Naesen and Eddy Boasson Hagen were on the loose as the Norwegian had the legs to grind it out to win the demanding stage. Niki Terpstra wins the overall, Oliver Naesen (2nd) & Peter Sagan (3rd). Makes me wish for classic season to begin.